Gene Wolfe in 1998. Photo taken by and (c) Andrew Porter. 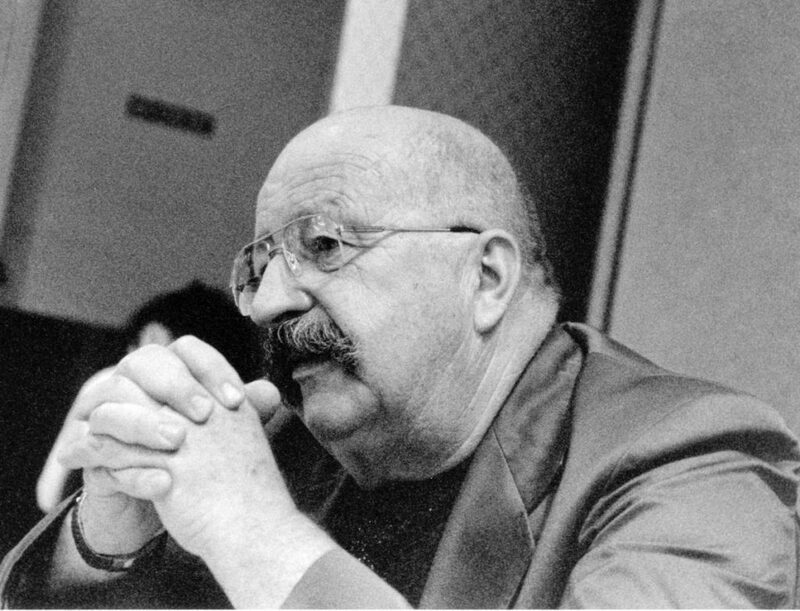 Gene Wolfe died April 14 after a long battle with heart disease. Acknowledged as one of the field’s finest writers, his honors included a Life Achievement Award from the World Fantasy Convention in 1996, induction to the Science Fiction Hall of Fame in 2007, and recognition as a SFWA Grand Master in 2013. Though never the most popular nor the most influential author in the sf field, Wolfe remains quite possibly its most important, both for the intense literary achievement of his best work, and for the very considerable volume of work of the highest quality. 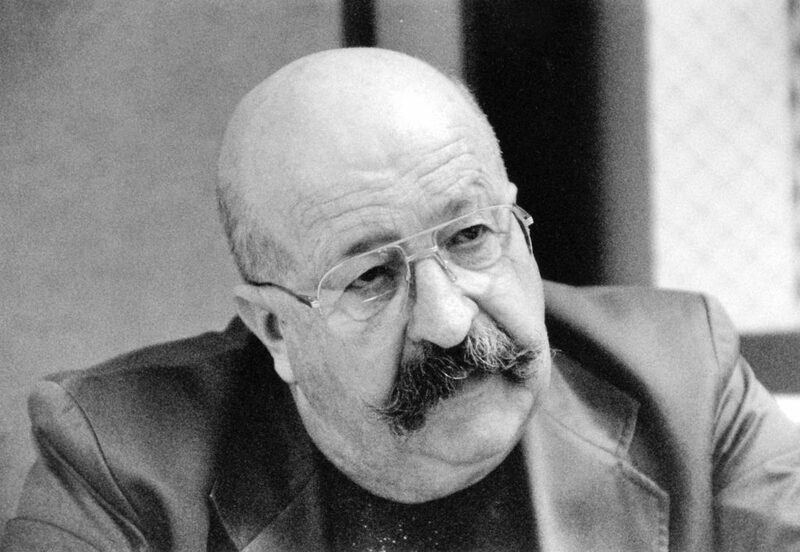 Wolfe was a particular favorite of the World Fantasy Convention membership, who voted him four World Fantasy Awards, for The Shadow of the Torturer (1981), Storeys from the Old Hotel (1989), Soldier of Sidon (2007), and The Very Best of Gene Wolfe/The Best of Gene Wolfe (2010). 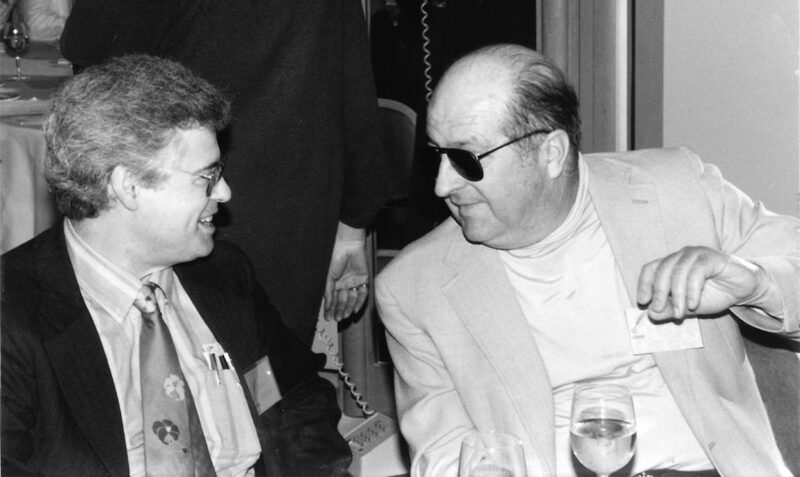 A month or so after the banquet I was talking to Joe Hensley, and he joked that I should write “The Death of Doctor Island,” saying that everyone felt so sorry for me that it was sure to win. I thought about that when I got home and decided to try, turning things inside out to achieve a different story. He did, and his novella “The Death of Doctor Island” won a Nebula in 1974. 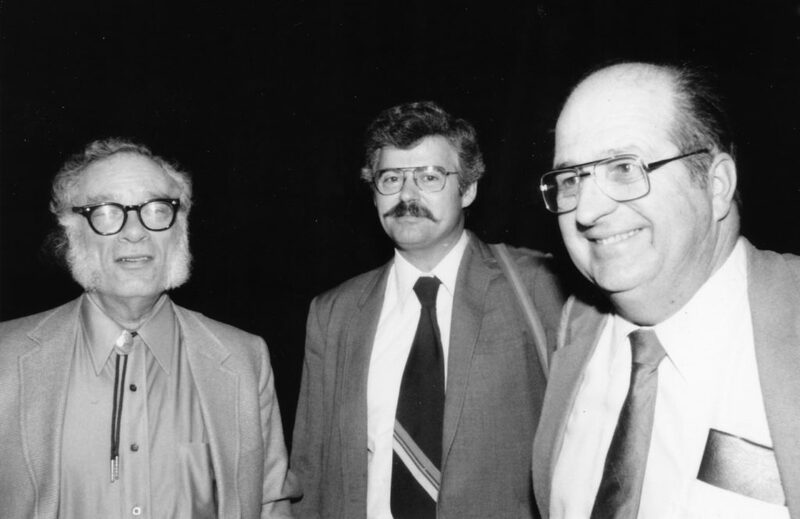 Isaac Asimov, David G. Hartwell, and Gene Wolfe in the Eighties. Photo taken by and (c) Andrew Porter. His first published story, “The Case of the Vanishing Ghost,” appeared in The Commentator for November 1951. 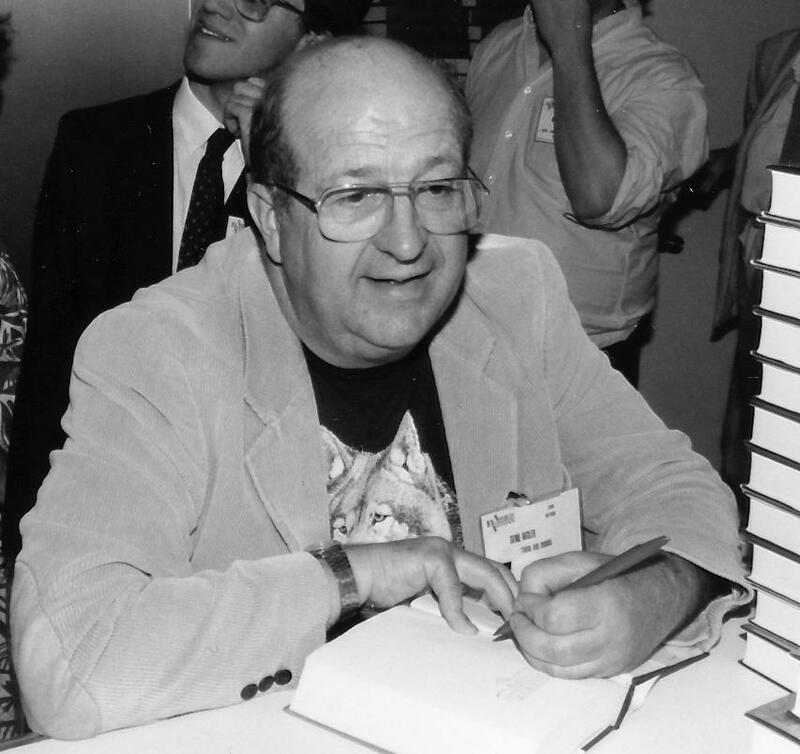 I can’t remember if the first time I saw Gene Wolfe at TorCon 2’s “Meet the Pros” party he was wearing one of the plastic straw hats SFWA President Jerry Pournelle urged on all the writers to make them more identifiable. That year Wolfe was a double Hugo nominee for his story “Against the Lafayette Escadrille” in Again, Dangerous Visions and “The Fifth Head of Cerberus” from Orbit 10. He also cut a memorable figure as pro guest of honor at Aussiecon Two in 1985, where he made a fine speech, well-attuned to a fannish audience. He said that the difference between a real fan and a fake fan is that “A fake fan will always bring the discussion around to the book he’s read that year.” And he joked — with a dash of bitters — that the difference between a book publisher and a fanzine editor is that if a fanzine sells out the faneditor will print more. Gene’s wife, Rosemary, predeceased him in 2013. He is survived by two daughters, a son, and three grandchildren. Wolfe at the 1989 ABA. This entry was posted in In Passing and tagged Gene Wolfe by Mike Glyer. Bookmark the permalink. An extraordinary talent. A great loss to the field. Ave atque vale, Mr. Wolfe. I was continually astonished at how well you wrote. I met Gene at a couple of cons, and he was a splendid person as well as a brilliant writer. As far as I’m concerned, Gene was one of the best writers in the English language, period, and it’s our good fortune he chose to write in our genre. I’m sorry to see him go, but 87 is a good run. We should all live that long, and accomplish half as much as he did. RIP, Gene. I last saw Gene Wolfe on Thanksgiving weekend of 2018 at Chambanacon in Bloomington-Normal, Illinois. In recent years, Wolfe was the convention’s recurring guest of honor, in addition to the professional and fannish GoH’s invited each year. A lot of people at Chambanacon are aging babyboomers like me, but I noticed that Gene’s appearances also attracted some younger people who had evidently come just to meet him. I still have a lot of Gene Wolfe fiction to read, but my mind is still chewing over ideas in novels and stories of his that I read years ago. I’m very grateful for the work he leaves us. Damn. I have six or seven feet of Wolfe hardcovers in first edition, no other author comes close. What a loss. Andrew, that passage struck me with great force the first time I read it, and I’ve never forgotten it. If it is not the thematic climax of the Book of the New Sun, it’s very close to it.